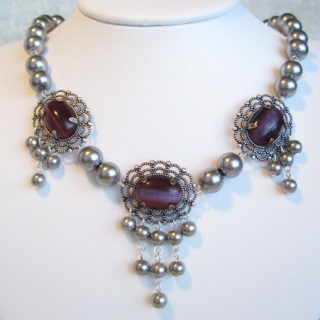 A stunning combination of silvery gray glass pearls and amethyst cat's eye cabochons set in antiqued filigrees makes this set a head turner. 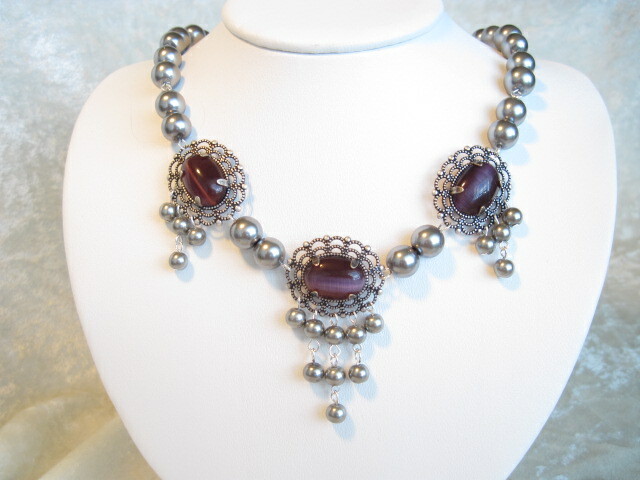 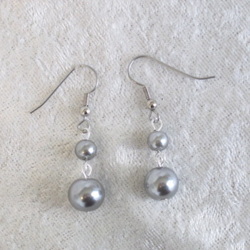 The larger pearls are mounted two by two by hand and have a magnificent presence in conjunction with the delicate small pearls that dangle and move gracefully. You'll be the envy of all! ! 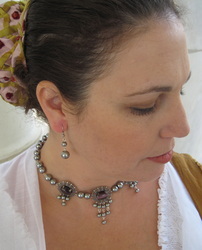 The necklace measures 17 1/2"; the matching earrings are 1" long.